Motorsports and car racing are popular across the world. In the UK alone, motorsports make up one of the largest sports industries. Cable networks like BT and Virgin Media may still be a common household entertainment features but watching on a physical TV is not always convenient. With the rise of internet access and the use of mobile phones and laptops to do just about anything, many fans need an alternative to the sports TV channel, which often does not screen every race either. Below are the best options for watching car racing competitions online without any hassle and with full access to races any day of the series. Now TV allows viewers who only require specific sports screenings to watch to their heart’s content without paying for a full Sky package. Now TV requires no contracts and can be accessed at low rates. They allow for both TV and online viewings of their range of channels, which includes Formula 1 racing. This does require a Sky Sports Pass, but overall the cost is cheaper than a full Sky package and can be used on a wider variety of devices, allowing viewers to watch from anywhere at any time. This way, you’ll never have to miss out on any F1 races as they are all available through Now TV and the Sky Sports Pass. Whether you have cable TV or simply a decent internet line, you will be able to watch all the best races throughout the year from every destination on Eurosport. Eurosport is available online to international audiences and provides full coverage of races like 24 Hours Le Mans and a range of other Formula 1 options. You can either opt for a subscription from Eurosport for only £40 or try their services with a free trial over the period of the next big race. However, it also ensures that Unibet Live Betting can also be added to the viewing bundle. ESPN may not be a local sports channel, but it is available in a wide range of countries as an online player, including the UK. It is as convenient as any streaming channel, allowing you to watch races live from Apple, Android, desktop and laptop devices. They have a specific package for IndyCar races, which gives you access to all 16 race weekends of the Verizon IndyCar series each year, such as the Indianapolis 500 and more. This also helps save money for those who aren’t interested in all-inclusive packages and prefer to splurge on motorsport racing viewing. 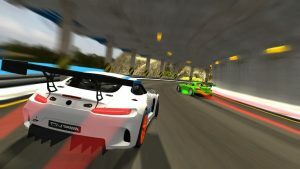 Alternative methods of accessing live car races in the UK from around the world include the channels available on the most popular cable networks, such as BT, Virgin, Sky and TalkTalk. Several channels offer full viewing of all the races, while some offer a more limited coverage but make the races accessible nonetheless. These include Channel 4 and Sky Sports which will keep you up to date on all the essential details following the events live, even if you can’t watch the entire length of the race.